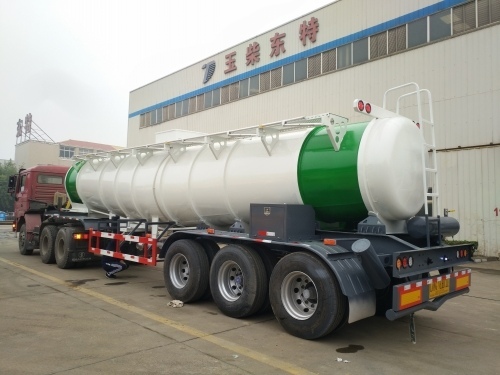 This kind acid tanker trailer is very popular in Africa countries,such as Zambia,Tanzania and so on.It is designed for sulfuric acid 98%(98% H2SO4 acid liquid tanker trailer) transport. Acid tanker trailer Capacity is 18000 liters or 21000 liters. Acid tanker material can be high quality carbon steel,stainless steel SUS304 or SUS316L. this V shape acid tanker trailer is equipped with 3 units 13T BPW axles or FUWA axles. with heavy duty spring suspension or airbag suspension. Looking for ideal Hydrochloric Acid Tank Trailer Manufacturer & supplier ? We have a wide selection at great prices to help you get creative. All the 98% Sulfuric Acid Storage Tank are quality guaranteed. We are China Origin Factory of Hydrochloric Acid Chemical Tanker Trailer. If you have any question, please feel free to contact us.